People who are hearing challenged often find themselves slowly disconnecting from their loved ones, and the life they cherish. Our mission acknowledges that Phonak empowers people to reconnect to the world with a renewed sense of confidence, allowing them to be a participant – deepening their relationship with everybody and everything that matters most. Headquartered near Zurich, Switzerland, Phonak, a member of the Sonova Group, was born in 1947 from a passion and dedication to take on the most difficult hearing challenges. This passion remains 70 years later. As the industry’s leading provider, we offer the broadest portfolio of life-changing hearing solutions. From pediatric to profound hearing loss, we remain committed to creating hearing solutions that change people’s lives to thrive socially and emotionally. We believe in changing lives and creating a world where "Life is on" for everyone. Research has shown that there are known associations between hearing loss and cognitive abilities. Cognitive decline has been seen to be accelerated in people with hearing loss. Several hypotheses exist regarding the underlying mechanisms driving the described associations. Science is currently trying to find the most likely explanation. One of the more researched hypotheses is that impoverished auditory input leads to decreased cognition - So can hearing aids delay the issue? The session will give an overview of the current state of knowledge. This course will review the results from pilot studies on user preferences and interactions with Phonak's smartphone fine tuning app. Celebrating 70 years of life-changing hearing solutions we are proud to showcase our comprehensive portfolio. Be ready for success with the Phonak Sky™ V, CROS II + Sky V and Roger™ Focus. 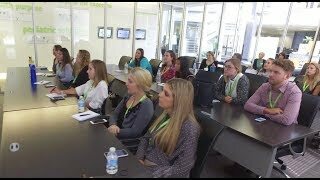 Join Bill Dickinson AuD, VP of Audiology, as he discusses the various ways in which the Audiology team contributes to the success of Phonak. Phonak is celebrating 70 years of changing lives with the release of the Virto B- Titanium, the most discreet hearing aid we have ever produced. Jan Metzdorff, president of Phonak US, discusses the company's philosophy as well as current products and programs designed to help professionals succeed in today's dynamic marketplace. 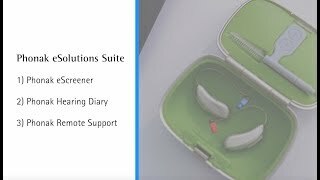 Watch Phonak's AutoSense OS operating system be put to the test against the competition. 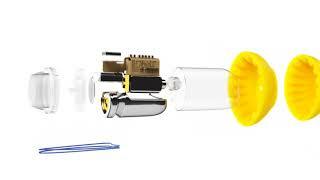 It adapts and blends to optimize hearing across a multitude of real life complex environments. Phonak clinical study reveals that beyond accuracy and fine-tuned detection of environments, AutoSense OS can optimize speech understanding as well as comfort and sound quality. PARC Director, Christine Jones sits down with AudiologyOnline to discuss the new hearing performance standards within the Sky V portfolio. April 11, 2019 Phonak Marvel received Silver Award in the hearing aid design technology category last week at the Edison Awards gala in New York City. February 26, 2019 The SlimTip Titanium is a premium solution resulting from Phonak’s expertise in manufacturing of customized titanium shells. The new SlimTip Titanium is stronger than industry standard acrylic, is hypoallergenic, and comfortable to wear. The strength of titanium allows Phonak to design and print Titanium SlimTips as thin as 0.2mm. Additionally, the new SlimTip Titanium has been designed to increase the fit rate for smaller ears. 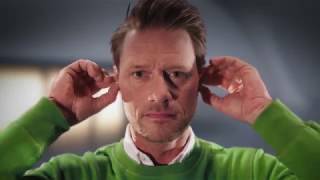 February 12, 2019 In October 2018, Phonak, the world’s leading hearing aid provider, introduced Marvel – a revolutionary hearing aid family that combines all the top-requested features from hearing aid wearers into one solution with zero compromise. November 27, 2018 Hear the World Foundation supports project for early detection. November 9, 2018 Phonak today announced it has been named a two-time CES® 2019 Innovation Awards Honoree for ‘Accessibility’ with Phonak Audéo Marvel and ‘3D Printing’ with Phonak Virto B-Titanium. 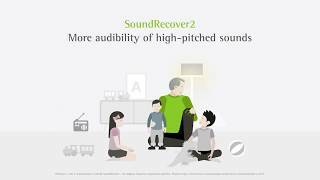 October 16, 2018 Phonak, the world’s leading hearing aid provider, introduces Marvel - a revolutionary hearing aid family that combines the benefits of exceptional speech understanding and reduced listening effort in noise with the ability to stream all audio content seamlessly from iPhone, Android smartphone or billions of other Bluetooth enabled devices to both ears in stereo quality. August 27, 2018 For the past two years, the Swiss Hear the World Foundation has supported the project by funding the screening project, providing hearing aids and sending volunteer audiologists specially trained for working with children. August 22, 2018 The recipient of the 2018/19 Richard Seewald Award is the World Wide Hearing Foundation International (World Wide Hearing). August 9, 2018 The small and discreet Virto B-Titanium custom hearing aid becomes even tinier and more discreet thanks to a new tool for hearing care professionals called the Titanium FitGuide. August 2, 2018 The conference has been organized by Phonak to bring forward the latest research and findings supporting the use of Roger for young children at home. July 31, 2018 Phonak, the leading global provider of hearing aids and wireless communication solutions, has been honored with three international Red Dot Awards for excellence in product design. July 24, 2018 Phonak, the world’s leading hearing aid provider, is accepting applications for its first Teen Advisory Board through August 6, 2018. July 12, 2018 The Hear the World Foundation has a new high-profile backer from Germany. The singer-songwriter Gregor Meyle is becoming a new ambassador for conscious hearing. July 11, 2018 Phonak, the leading global innovator for hearing instruments and wireless communication solutions, announces the launch of a newly accredited eLearning program on Family-Centered Care (FCC) for hearing care professionals. 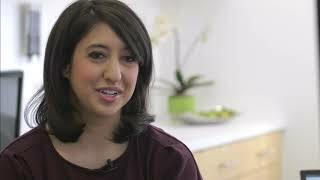 March 4, 2019 Aly Hoffman, ScD Phonak Marvel is the next generation of ground breaking hearing technology developed by Phonak. Built to meet the needs of any patient, Audeo M is a multi functional marvel offering clear, rich sound, connectivity and streaming to any Bluetooth device, a suite of smart apps and industry leading rechargeability. 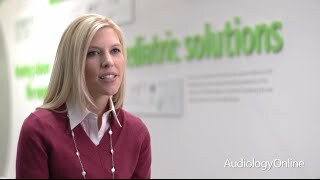 February 18, 2019 Eliza Floyd, AuD, CCC-A Phonak Marvel is the next generation of ground breaking hearing technology developed by Phonak. 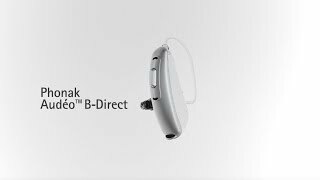 Built on the SWORD™ chip, Audeo Marvel offers unmatched hearing performance with AutoSense OS™ 3.0, the best first fit ever achieved by Phonak, and reduced listening effort when hearing gets tough. This course will provided a deeper overview of each research study supporting Phonak Audeo Marvel. December 10, 2018 Axel Winneke, PhD, Maarten De Vos, PhD, Kirsten C. Wagener, PhD, Peter Derleth, PhD, Matthias Latzel, PhD, Jens Appell, PhD, Frank Wallhoff, PhD The objective of the course is to learn about the usage of EEG as a tool to evaluate hearing aids and their effect on listening effort. This course focuses on a function developed to improve speech perception when using a telephone based on a binaural approach. October 17, 2018 Axel Winneke, PhD, Michael Schulte, PhD, Matthias Vormann, PhD, Matthias Latzel, PhD The objective of the course is to learn about the usage of EEG as a tool to assess changes in listening effort by comparing different spatial noise processing algorithms. June 18, 2018 Rebekah Cunningham, PhD This course provides research and resources to foster use of Roger technology for children with hearing loss in the 0-5 age range. April 2, 2018 Lori Rakita, AuD A recent research study at Phonak Audiology Research Center (PARC), along with a body of currently existing evidence on emotion, suggests significant difficulty of hearing impaired listeners to understand the emotional intent of a talker as compared to normal hearing listeners. This course will review these findings and discuss how they suggest that hearing loss may have a broader impact on social well-being. October 31, 2017 Courtney Abel This course covers Phonak's latest product introductions as well as software and programming details to promote successful patient hearing instrument fittings. July 19, 2017 Lisa Standaert, AuD, Lori Rakita, AuD, Olaf Strelcyk, PhD A review of three studies conducted at the Phonak Audiology Research Center designed to improve the TV listening experience for people who use hearing aids. May 15, 2017 Dane Bowers, AuD, CCC-A The effects of unilateral hearing loss in children and a discussion of Phonak solutions for each type of unilateral hearing loss. 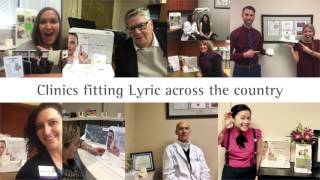 June 20, 2016 Lisa Dyre, AuD, CCC-A Today's world is a noisy place. The importance of a good signal-to-noise ratio (SNR) for all students cannot be overstated. Providing an acoustically beneficial environment can be a challenge, not only at school, but also at home and other settings. Noise and reverberation affects everyone's ability to hear differently, but it is more of an issue for younger children. 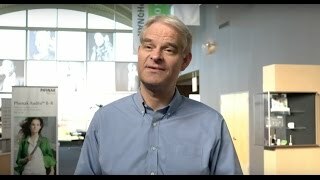 For certain student populations, placement in an acoustically beneficial environment is crucial to their academic success, as well as to their social success.My goal today is to provide information about who is at risk, and how we may need to dedicate more effort to improving their acoustic environment. March 18, 2014 Cheri Hebeisen, AuD, CCC-A Today we are going to be talking about Roger for Adult Solutions. There is also Roger for Pediatrics on the education platform. We will touch on that briefly to give you an understanding of how it contrasts with the options for adults. There are some different receiver and transmitter options for adults versus the pediatric population. How Do I Determine Which Roger Combination is Right for My Student? 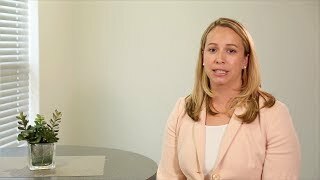 September 17, 2018 Rebekah Cunningham, PhD What are the differences in the Roger portfolio? Which one does my student need? Is There an Interactive Counseling Tool for Parents to Use with Roger? August 20, 2018 Rebekah Cunningham, PhD Is there an interactive counseling tool for parents to use with Roger? How Does Roger Contribute to Incidental Learning? July 23, 2018 Rebekah Cunningham, PhD How does Roger contribute to incidental learning? How Can the EasyView Otoblock Help Me Take Deep Canal Impressions? November 20, 2017 Paul J. Kreimer, MA, CCC-A I fit a lot of RIC and BTE devices and am out of practice when it comes to taking deep canal impressions. What is the EasyView Otoblock and how can it help me take deep canal impressions? 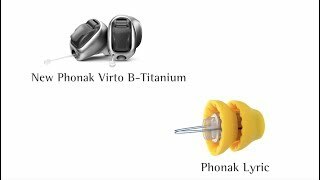 What Does the Phonak Virto B-Titanium Offer in Terms of Performance? October 16, 2017 Paul J. Kreimer, MA, CCC-A I fit a lot of RIC and BTE hearing aids, but some of my patients insist on a discreet custom option. 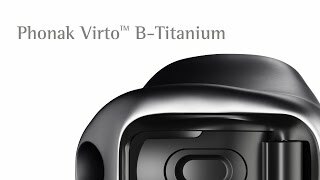 I want a small device that is high on performance – what does the Phonak Virto B-Titanium offer in terms of performance? 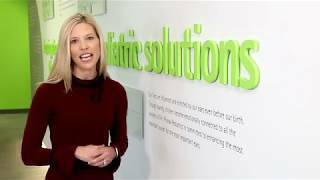 What are the Benefits of Using Titanium in the Phonak Virto B-Titanium? September 19, 2017 Paul J. Kreimer, MA, CCC-A What are the benefits of using titanium in the Phonak Virto B-Titanium? Have There Been Any New Changes to Phonak Sky V, CROS II or Roger Focus? March 7, 2017 Angela Pelosi Since Phonak Sky V, CROS II and Roger Focus have been available in the market for a while, are there any new changes you have made to them? August 8, 2016 Angela Pelosi Can you briefly describe how Phonak's new SoundRecover2 frequency lowering technology works? 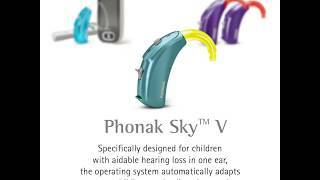 What Makes Phonak's Sky V Pediatric Portfolio Unique? June 27, 2016 Angela Pelosi What makes Phonak's new pediatric portfolio, Sky V, different from other pediatric technology? 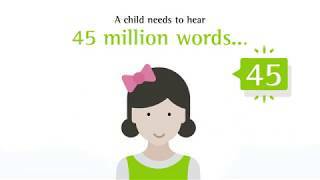 What are the Key Features of Phonak's Bolero V? July 13, 2015 Martin Grieder, Bill Dickinson, AuD What are the key features of Phonak’s Bolero V, on the Venture platform, and what products are available in this family? What is the Best Way to Assess Non-Linear Frequency Compression? November 3, 2014 Christine Jones, AuD, CCC-A What is the best way to assess non-linear frequency compression (NFC)? How Long Before a Patient Receives Maximum Benefit from Non-Linear Frequency Compression? September 29, 2014 Christine Jones, AuD, CCC-A How long will it take for a Patient to Receive Maximum Benefit from Non-Linear Frequency Compression (NFC)? Does Non-Linear Frequency Compression Improve Listening in Noise? August 18, 2014 Christine Jones, AuD, CCC-A Does non-linear frequency compression (NFC) improve listening in noise? Should I Apply Non-linear Frequency Compression for Mild Hearing Losses? July 7, 2014 Christine Jones, AuD, CCC-A Should I apply non-linear frequency compression (NFC) for mild hearing losses? Does Non-linear Frequency Compression (NFC) Work for Adults? May 19, 2014 Christine Jones, AuD, CCC-A Does non-linear frequency compression (NFC) work for adults? March 28, 2011 Patrick Henry I work in a school that is getting Dynamic SoundField systems for its classrooms. One of the students there already uses a Phonak FM system. 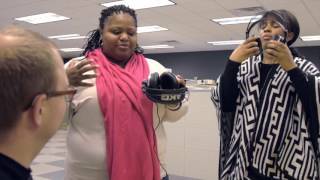 Can her FM system be used with the Dynamic SoundField system? Who Are Candidates for Nonlinear Frequency Compression? October 26, 2009 Myriel Nyffeler, PhD Who are candidates for nonlinear frequency compression? January 19, 2009 Diane Hammel, AuD, FAAA Is frequency transposition the same as nonlinear frequency compression? Who can benefit from this type of technology? November 6, 2006 Patrick Henry If I have an in-the-ear (ITE) hearing aid with a telephone switch, how would I use the MyLink wireless receiver? What would the cost be, and what components would I need to purchase? Would it work with a switchless telephone amplifier? April 3, 2006 Patrick Henry Is there a way to make my Phonak Handymic work with my pc, so that I can hear when receiving a videocall? 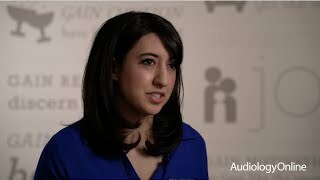 March 4, 2019 Lori Rakita, AuD Lori Rakita, Au.D., Phonak Senior Manager of Clinical Research, shares how the science behind the Audéo™ Marvel is interwoven into the overall needs of the hearing aid wearer — even as those needs change throughout his or her journey. June 22, 2017 Kris English, PhD Interview with Kris English PhD, panel chairperson of the Phonak-sponsored Pediatric Family-Centered Audiological Care Initiative, and Professor at the University of Akron/NOAC, Akron, Ohio.